Mya’s cancer battle began in what seemed a benign way. As she hopped into my van, she took a bad step and whacked her right-front leg. I thought it odd that my athletic German Shorthaired Pointer (GSP), a conformation champion and hunt-test title holder, misjudged a move she made daily. But the thought faded as I looked forward to her upcoming sonogram. It was April 2013. We were headed from my home in Yorktown, Virginia, to her local veterinarian’s clinic. At the age of 7, Mya had been bred for the first time. My husband, Carl, and I were hoping the sonogram would reveal that she was pregnant. The good news? We could see puppies on the sonogram. The bad news? By the time we got home, the joint above Mya’s right foot was swollen. I gave her an anti-inflammatory pill, and the swelling went down. Now we could shift our focus to the puppy countdown. Or so we thought. As her delivery date drew near, we moved Mya to her breeder and co-owner Sharon Dattilio’s house. Sharon, whose AKC-registered kennel, Shomberg’s German Shorthaired Pointers, has produced numerous champions, was going to whelp her for us. But in the days before she whelped, Mya’s joint swelled again, this time for no apparent reason. Our joy at seeing her first litter born was tempered as the joint became more swollen—and increasingly painful. But why? Sharon, Carl, and I wracked our brains. Years before, Mya had been diagnosed with a tick-borne disease. We’d treated her with antibiotics and she fully recovered. Perhaps the stress of whelping caused a relapse? By the time the puppies were three weeks old, Mya’s right-front leg was so sore she was having trouble getting up and down. Because she was nursing, we’d been reluctant to give her medication to ease the pain. But it became clear we had to find out what was wrong with Mya’s leg and start treating it. That meant weaning the puppies early (very early—they were not yet on solid food). Sharon volunteered for puppy duty so I could take Mya to my vet for an x-ray. Nothing prepared us for what he’d find. “I think it’s osteosarcoma,” he said. He went on to explain that amputation might be our only option. My first reaction was stunned silence. Then devastation set in. While I’d not had experience with “osteo” in my dogs, I knew the aggressive bone cancer was considered a death sentence. (See “Osteosarcoma Fast Facts,” below.) Plus, amputate my hunting dog’s leg? What quality of life would she have? “Are you sure,” I asked? He suggested that I get a second opinion. I drove home in denial, unable to wrap my head around the fact that my “heart dog” might not only have terminal cancer, but also could lose her leg. I called Sharon. Once she’d digested the news, Sharon formed a plan. She’d recently been to a cancer seminar that featured Dr. K. Ann Jeglum, VMD, of Veterinary Oncology Services and Research Center, in Philadelphia, Pennsylvania. Dr. Jeglum is a leading researcher in canine oncology. “Send the x-rays to her,” she said. My vet emailed the radiographs to Dr. Jeglum the next day. Sharon, Carl, and I had to wait what seemed the longest weekend to get Dr. Jeglum’s opinion. It wasn’t what we’d hoped for. “Yes, I think Mya has osteosarcoma,” she said. She went on to explain that in decades past, the only option would have been amputation. But advances in treatment now include radiation and chemotherapy, which could help extend her life. She made it clear, though, that we weren’t talking about a cure: With her treatment protocol, the average survival rate after an osteosarcoma diagnosis is about one year. (With amputation only, most dogs die within four to five months.) Without amputation, the cancer can make the bone fragile, putting your dog at risk of a fracture. Dr. Jeglum’s experience gave us a ray of hope that Mya could be with us for a while. Carl and I agreed that we’d do whatever we could to make that “while” as long as possible. I made an appointment for Mya to see Dr. Jeglum in late June. That would become the first of many 12-hour round trips to Philadelphia that Mya and I would make. Mya’s initial exam included lab workups, plus an x-ray of her lungs, to check for any spread of the cancer; osteosarcoma typically spreads to the lungs when it first metastasizes. Fortunately, Dr. Jeglum found no signs the cancer had spread. As she went over the results with me, I explained my reluctance to amputate Mya’s leg—I wanted her quality of life to be as high as possible for the remaining time she had. Based on that input, Dr. Jeglum formulated a plan (although she again warned me about the fracture risk): I’d drive Mya to the clinic once a week for four weeks, to receive radiation treatments aimed at killing cancer cells; radiation also helps relieve pain. When she completed radiation, Mya would start six cycles of chemotherapy (one every three weeks), designed to kill cancer cells not only in the bone, but also those that might have spread. After that, she’d be put on “metronomics.” Dr. Jeglum explained that the metronomic approach to cancer therapy is largely derived from pediatric oncology, where quality of life is essential in childhood cancers that are fatal. In those cases, aggressive therapeutic approaches are not successful in curing the disease. Low doses of chemotherapy drugs. When certain oral chemotherapy drugs are administered every other day, or up to weekly, they do not act as cell-killing drugs but rather as anti-angiogenic agents. Non-steroidal anti-inflammatories (NSAIDS). For Mya, Dr. Jeglum prescribed piroxicam, an NSAID that also can have anti-tumor properties. Molecular-targeted drugs. In dogs (and for Mya), that drug is Palladia, which inhibits vascular growth and blocks tumor receptors. Dr. Jeglum told us that this regimen has been one of the first to stabilize metastatic canine osteosarcoma in a dog’s lungs. While Mya didn’t have any signs of metastasis, the protocol would aim to slow any potential spread of the disease. She also said there have been tumor-killing responses in a few cases. And, she told us, Mya would likely remain on some or all of these drugs the rest of her life. It felt good to have an oncology expert on Mya’s team—and a plan. Over the next month, Mya and I fell into a new routine: We’d make the 6-hour drive to Dr. Jeglum’s clinic. Mya would get her radiation treatment. We’d spend the night at a nearby hotel, then drive home the next morning. Mya handled the radiation well. I remained adamant about trying to save her leg. “How can a hunting dog (or working dog, or…) be happy on three legs,” I’d ask? “Those dogs are athletes that are meant to move.” I’d add. Dr. Jeglum would calmly listen to my amputation angst without reacting to it. She’d obviously heard it all before. But she never lost sight of the fracture risk. Shortly before Mya started chemotherapy, she suggested we re-x-ray the leg. We did, which led to more bad news: The bone had begun to fail at the tumor site. Staring at the x-ray, I had a moment of clarity: I knew that in order for Mya to live, I’d have to give up her leg. To help understand what she’d be facing, I began searching for YouTube videos of three-legged dogs. It was helpful: Seeing other dogs of all types and sizes get around so well made me feel better about Mya’s future. And Carl found a great site for information about canine amputation, Tripawds. But still, I dreaded the surgery and its aftermath. The procedure was scheduled for August 22, 2013. Carl and I had kept two of Mya’s puppies (the rest, by now, had gone to their new homes). They kept me distracted at the hotel while Mya had surgery to remove her right-front leg. When I heard from Dr. Jeglum, there was finally some good news: Mya was doing great after surgery. In fact, on a follow-up call, Dr. Jeglum told me my wonderful girl already had gotten up to go to the bathroom. She said that her quick acclimation to the lost limb was a good sign for recovery. Still, when it was time to pick her up the next evening, I was a wreck: Nothing can prepare you for seeing your once whole dog now with only three legs. Mya must have sensed my angst. As soon as she hopped into the reception area and saw me, she tried to jump into my arms. I broke down and cried. Back at the hotel, I took her out to potty for the first time. She fell down. “How are we going to deal with her new life,” I wondered? Will she truly adapt? But Mya jumped up, figured out how to balance on her three remaining legs, and never looked back. After four weeks of rest and limited activity (during which she started chemotherapy), Dr. Jeglum took out Mya’s surgical staples and said I could slowly start to exercise her. I began by walking her in my neighborhood, adding one block at a time as she gained balance and strength. Within a few days, she tried to take off at a run. Shortly after that, I took her out to a field where I could safely let her off leash. As soon as Mya heard me unsnap her lead, she took off. It was pure joy to see her running so easily. As she was able to get out and about more, Mya became an ambassador for living after a disability; she even earned her Therapy Dog Title. With her outgoing personality and love of life, she made a positive impression on everyone she met. Plus, the chemotherapy didn’t seem to phase her (something else I’d worried about). Dr. Jeglum explained that chemotherapy doesn’t tend to have the detrimental side effects in dogs that it does in humans. 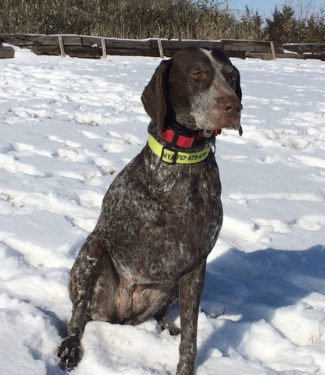 That fall, Carl and I took Mya on our annual wild-pheasant hunt in South Dakota, along with our four other GSPs. While it took her a while to figure out how to balance with a big pheasant in her mouth, she had a blast doing what she was bred to do. She continued not only to survive, but also to thrive. 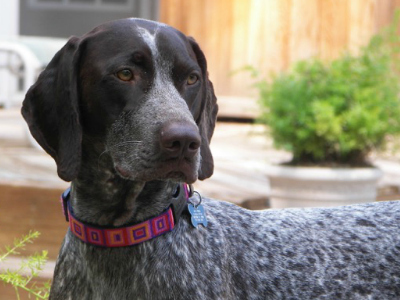 I set a new goal: To take Mya to our German Shorthaired Pointer National Specialty Show in May of 2014. I wanted her to be part of the Parade of Titleholders. Throughout that winter and into the following spring, she remained bright, active and happy, so we made the trip to Nationals. During the parade, when the announcer called her registered name, Ch Shomberg’s One Hot Number SH, the entire room erupted in cheers. As we trotted around the ring, I saw there were lots of tears, too. Mine were tears of joy. Not long after Nationals, Mya didn’t seem right—she was lethargic. I took her back to Dr. Jeglum, who found a tumor on one of Mya’s kidneys; the osteosarcoma had spread. She told me that it is extremely rare for it to metastasize to the kidneys. She removed the kidney, and Mya bounced back from surgery in no time. As a precaution, Dr. Jeglum put her on four rounds of chemotherapy. That fall, we took her to South Dakota for the pheasant hunt. Mya hunted in a blizzard, and had a great time romping in the snow. It was such a joy to watch her bouncing around like a puppy, over a year after her original diagnosis. Christmas came and went, with Mya enjoying the festivities. But when New Year’s Day dawned, she was lethargic. My heart sank. I rushed her to Dr. Jeglum’s the next day. She ran tests and brought me the bad news: She’d found a tumor on Mya’s remaining kidney. Devastated, I took Mya home. Carl and I treated her for a week. But for the first time, she didn’t bounce back. At the end of the week she stopped eating. That’s when we knew it was time to say good-bye. I still cry when I think about losing her. But we remain thankful that we were able to give Mya not only an extension on her life, but also a great life for more than a year and a half afterward. Was it expensive? Yes, both emotion- and money-wise. Was it worth it? Absolutely. Our takeaway? A lot of dog owners and their veterinarians aren’t aware that it can be possible to treat osteosarcoma with radiation, chemotherapy, and surgery, and get more (and quality) time with your dog. Carl and I know, though, that not everyone can afford the treatment. To that end, and to honor Mya, we started Mya’s Fund, through Dr. Jeglum’s Veterinary Comparative Oncology Research Fund. 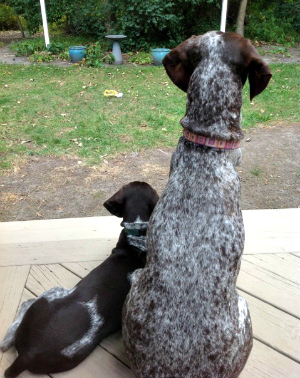 Through it, we hope to provide money for people who can’t afford cancer treatment for their German Shorthaired Pointers. (The fund will cover any kind of cancer. The dogs must qualify, however, by having a viable chance at a quality, reasonable, post-treatment life span.) We are now holding fundraisers, and hope to start treating patients through the fund this year. Mya was a great pet who happened to be a champion. I look back and think she was meant to be with Carl and me, so we could help her on this journey. I miss her every day, but she lives on with us through her puppies. Perhaps her legacy will be to help other dogs spend quality time with their families after a devastating diagnosis. Since 2005, the AKC Canine Health Foundation (CHF) has awarded almost $2.5 million in canine osteosarcoma grants at 20 different institutions in the United States and abroad. A new grant was recently awarded by CHF to study a potential canine osteosarcoma vaccine. Canine cancer research currently makes up the largest percentage of CHF’s grant portfolio. Advancing your dog’s health can help advance yours. The genetic makeup of dogs and humans is about 85 percent the same. For instance, the genes that make up your dog’s eyes are the same genes that make up your eyes. There are about 400 diseases that affect both dogs and humans. Because of this, research in canine health can benefit you. And research in human health can benefit your dog. Since its inception in 1995, CHF has become the largest funder of exclusively canine health research in the world, raising and funding over $44 million in canine research and educational programs. 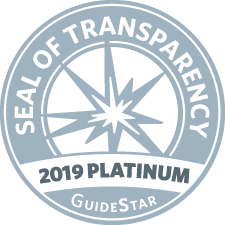 It is dedicated to advancing the health of all dogs (pure and mixed-breed) by funding scientific research and sharing health information that can help prevent, treat, and cure canine disease. Learn more about CHF's canine cancer studies and access free cancer resources. Osteosarcoma is the most common bone cancer in dogs (and people, mostly children). It is nearly identical to the same cancer in children. For that reason, it is part of “comparative oncology” studies. Comparative oncology is the study of cancer that naturally occurs in animals and the comparison to its human counterpart in order to identify treatments and cures that can benefit both humans and animals. It is an aggressive cancer that destroys normal bone, and tends to metastasize (spread) to other parts of the body (typically the lungs). It is diagnosed in up to 10,000 dogs per year. Large-breed dogs (over 90 pounds) account for almost a third of all cases. Males are at increased risk. The average age of onset is 8 years old. Most tumors occur in the legs. Signs can include intermittent lameness, swelling, bone or joint pain, and/or fracture, due to the tumor weakening the bone. Diagnosis can include imaging not only the tumor site, but also other areas of the dog’s body, to determine whether or not the cancer has spread. Treatment options can include chemotherapy, metronomics (as described in the article), amputation (depending on the tumor’s location), and radiation. Limb-sparing surgery, a specialized procedure in which diseased bone and tissue are removed in an effort to preserve use of the limb, can be an option in some cases. With amputation alone, survival is about four to five months. That’s because surgery to remove the leg can cause cancer cells to travel through the bloodstream and spread, which is why chemotherapy is critical. Without amputation, the bone is at risk of fracture due to degradation at the tumor site; there also is a high risk of metastasis. While Mya had a chance at an additional 18 months of quality life, a cure for osteosarcoma remains elusive. The AKC Canine Health Foundation is currently funding studies of this deadly disease. Help us find a cure. Just as with human cancer, everyone’s experience with canine cancer is different. Here’s what I learned from my experience with Mya. Get to work: If your dog is diagnosed with cancer, avoid wasting time succumbing to your emotions (believe me, I know that’s hard). Focus instead on what needs to be done. Be realistic: Mya’s treatment was stressful on all involved—and I’d do it again in a heartbeat if I could afford it, depending on the dog’s prognosis. It gained her 18 quality months of life. Find an expert: If your veterinarian doesn’t specialize in canine oncology, ask him or her to refer you to a veterinarian who does—your veterinarian can work closely with the oncologist for your dog. Or, go to American College of Veterinary Internal Medicine, Oncology specialty. Know your dog: Some can handle treatment better than others, depending on their temperament. For instance, Mya was unflappable and always wanted to please; she took everything in stride (including the amputation). But I have an older dog that is more tentative about everything than Mya was. I doubt she would handle the veterinary visits and surgery as well as Mya did. Do your homework: Looking up Internet videos of canine amputees helped me accept that Mya could live a happy life on three legs. I also researched osteosarcoma on the Internet. But…understand that the best information you’ll get for your dog is from a veterinary oncologist who is familiar with your case, is up to date on the latest treatment options, and is someone you trust. K. Ann Jeglum, VMD, DACVIM was awarded 2015 Veterinarian of the Year, sponsored by the AKC Canine Health Foundation, at the annual Show Dogs Of The Year Awards, sponsored by Purina and Dogs In Review Magazine. Dr. Jeglum launched Veterinary Oncology Services in West Chester, Pennsylvania, in 1990. In 1996, Veterinary Oncology Services and Research Center (VOSRC) opened its doors as the only designated private veterinary cancer center in the region. Dr. Jeglum’s research continued with the development of Canine Lymphoma Monoclonal Antibody 231, which was commercialized in the 1990s. She has bred and shown dogs for more than 30 years. Sue M. Copeland is an award-winning writer and editor, and on the Board of Directors of the AKC Canine Health Foundation. Her Greater Swiss Mountain Dog, GCH Derby’s Toast With Gusto, was the 2015 Show Dog Of The Year, Working Group. “Gus” is the top-winning Swissy in AKC history.